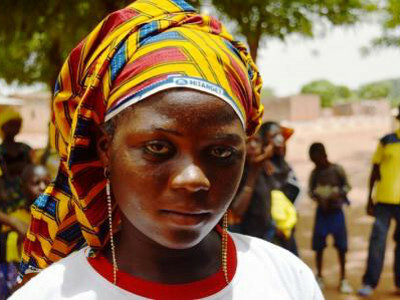 African political leaders, activists and local chiefs joined forces to commit to ending child marriage in West and Central Africa, the region with the highest child marriage rate in the world. More than a third of girls in the region are married under 18, with the rate over 50 % in six countries and up to 76% in Niger. Driven by factors including poverty, insecurity and religious tradition, marrying off girls once they reach puberty or even before is an ingrained social custom in much of West and Central Africa. The practice hampers global efforts to reduce poverty and population growth and has negative impacts on women’s and children’s health, educational achievements and earnings, the World Bank said. The conference in Dakar, which included government, civil society and religious representatives from 27 countries, was the first gathering of its kind. World leaders pledged to end child marriage by 2030 under the UN Sustainable Development Goals, but at current rates it will take over 100 years to end it in West and Central Africa, UNICEF said. Although the rate of child marriage has declined from 50 to 39% across the region since 1990, population growth means the number of child brides is still increasing, said Andrew Brooks, UNICEF regional head of child protection. “I think that they came is a sign they’re ready to do something,” said Brooks of the local and national leaders present. Other activists said they hoped the meeting would result in concrete national action plans and pressure countries to enact and enforce laws against child marriage. “We have heard your heartfelt cry,” said Senegal Prime Minister, Mohammed Dionne, to campaigners, who chanted “No to child marriage” as he took the stage.